It was a perfect week in Snowmass! Club members enjoyed fresh powder, perfect weather, great accommodations, hot tubs, and a great night life. Blue Skies, Deep Snow and Spectacular Views!! That was the theme of the week for the Florida Ski Council’s trip to Snowmass/Aspen. You could even add no lift lines and sensational parties. All this and more contributed to one of the best ski weeks in recent memory. The Space Coast Ski Club joined 13 other clubs from the Florida Ski Council to comprise nearly 400 people skiing and partying at Snowmass. And with a winter storm that dumped snow on the mountains during our stay, the conditions were incredible! Highlights included skiing all 4 mountains – Snowmass, Aspen, Aspen Highlands and Buttermilk. The FSC hosted two big parties, one was held at the top of the mountain and the second one at the Base Camp Conference center with a theme of “Fabulous 50’s ” which brought out the good and bad Sandy’s and a lot of leather jackets. Space Coast had the most trippers in costume! Another highlight was the Florida Cup Race! Our club’s fastest skiers for the ladies were Amy Tidd and Angel Hall and for the men Matt Bragaw and Paul Peterson. Many medals were given out. Congratulations go out to all participants, our Race Captain Kenton Anz, and all of the racers who braved the gates for the Space Coast Ski Club. 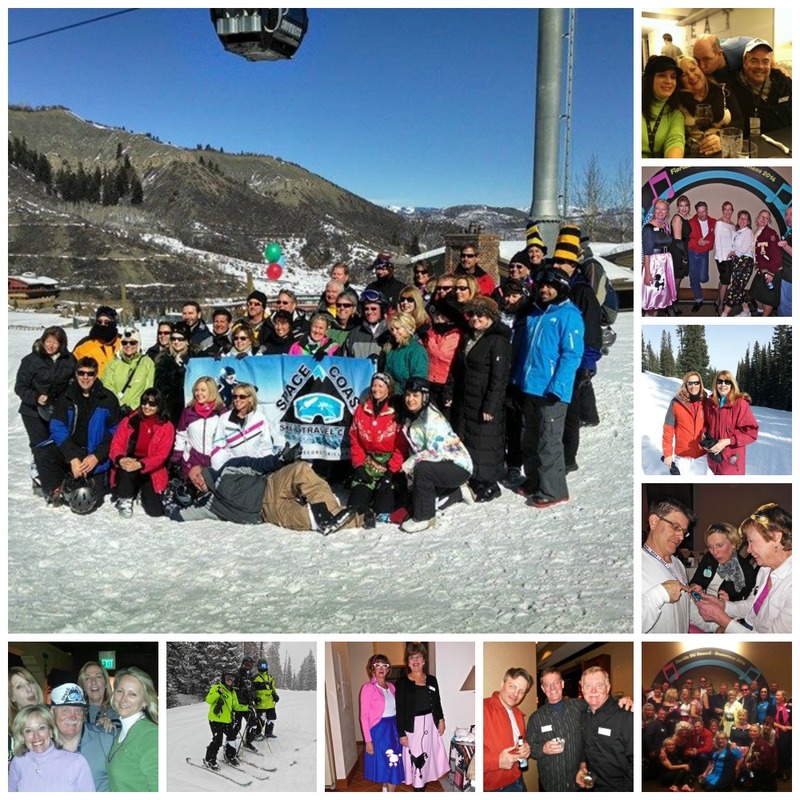 All in all, it was an ideal ski week that will be hard to duplicate. Many old friendships were renewed and many more new ones were made. That’s what makes traveling with the Space Coast Ski and Travel Club such a unique and memorable experience.